Playing up your eyes to a show-stopping level is easy with these world-class eye shadow brushes. With their luxurious softness and expertly crafted shapes, they are designed to address different eye areas with perfect precision. 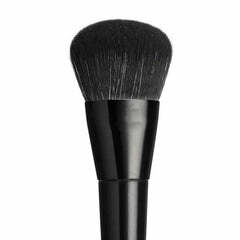 Use the angled brush for the crease, the domed brush for buffing and the blending brush for a flawless finish. Each eye shadow brush is 100% animal friendly, making it a favourite among makeup artists.